Throughout the holiday season, the Gatlinburg area hosts gala events galore. Glittering light shows. Eye-popping spectacles. Fun-filled family activities. 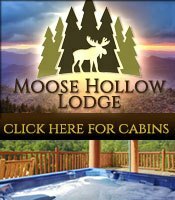 All right here in the heart of Tennessee&apos;s Great Smoky Mountains. You&apos;ll be feeling festive in no time! Each year, from November through February, Gatlinburg glows with millions of glistening LED lights. 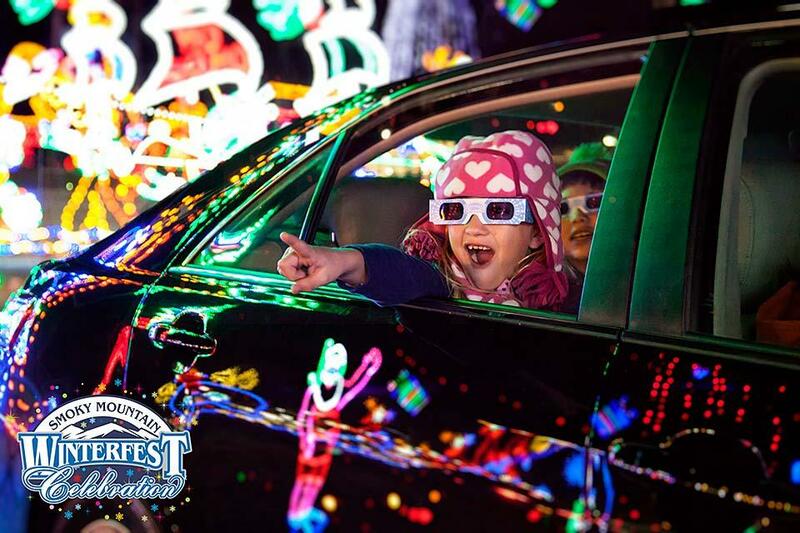 Take a leisurely drive through miles of dazzling displays to experience the wonder of Christmas. Or, better yet, try a Winter Magic Trolley Ride and leave the driving to your professional guide. Winter Magic trolley tours run several times nightly, except on Christmas Eve and Christmas Day. Hop aboard one of the comfortable heated trolleys for a cozy, relaxing ride through downtown Gatlinburg, adjacent River Road, and nearby Highway 321, all bedecked with breathtaking holiday lighting. Along the route, you&apos;ll spot scores of unique LED-lit creations, ranging from regional wildlife (deer, foxes, squirrels, and rabbits) to shining snowmen, shimmering fountains, and a giant, glittery rocking horse. You&apos;ll even glimpse a group of international children in brilliant festive array. All told, you&apos;ll see more than 1.6 million dollars&apos; worth of custom-designed-and-built pageantry, sparkling with all the splendor and magic of Christmas. Does your family love a parade? Bring them to Gatlinburg in early December for the annual Fantasy of Lights Parade. Always scheduled for evening hours, this popular parade proceeds along a convenient route reaching from Baskins Creek Bypass to traffic light #10 in downtown Gatlinburg. Along the way, you&apos;ll witness a magnificent pageant, with elaborate, colorful floats; talented local marching bands; skilled high-kicking dancers; Santa Claus in person; and more – all against a backdrop of millions of radiant lights. Arrive early to stake out a good spot on the parade route. Better yet, reserve bleacher seating, available at a reasonable charge. Seating always goes fast, so book yours online now. Love Appalachian culture? You&apos;re in luck. At various dates throughout the Christmas season, Gatlinburg hosts Smoky Mountain Tunes and Tales, an annual outdoor celebration of mountain life and music. The action kicks off downtown, usually in the early evening, when Gatlinburg&apos;s LED lights start glistening in all their glory. Gifted bluegrass and country musicians stroll the streets and fill the air with beloved holiday tunes, both sacred and secular. Seasoned Appalachian storytellers share fascinating Christmas lore. And Santa&apos;s elves are always on hand – along with Frosty and Rudolph – to entertain the kids. All Tunes and Tales events are free of charge and open to the public. What&apos;s more, they&apos;re highly interactive – your entire family can join right in for festive holiday caroling. What could be more Christmassy? Can&apos;t get enough of that downhome country music? Check out Country Tonite Theatre at 129 Showplace Boulevard in Pigeon Forge. Every night this legendary venue hosts a high-energy, family-friendly show, with foot-stompin&apos; country tunes, glorious gospel music, stirring patriotic melodies, side-splitting comedy, and more, all performed by an all-star cast of dancers, musicians, and vocalists. Throughout December, this popular show features a special holiday theme, focusing on classic carols, heartwarming Christmas tunes, and spectacular entertainment, including a special visit from the Sugar Plum Fairy. Choose from evening performances and kid-friendly afternoon matinees. Seats fill fast, though, so reserve yours online right away. 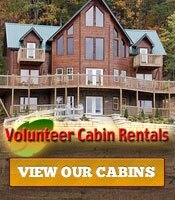 Why Not Spend Christmas and New Year&apos;s in the Smokies? It&apos;s hard to beat the Great Smoky Mountains for a magical Christmas experience. 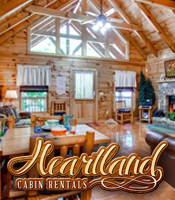 Stay in a comfortable cabin or B&B, close to attractions and eateries. Attend a local church&apos;s Christmas Eve service – you&apos;ll find the congregation warm and welcoming. Enjoy a delectable Christmas dinner in a world-class area restaurant – no cooking, no washing up afterward. Stroll along scenic nature trails with stunning panoramic views. It&apos;s truly a winter wonderland! 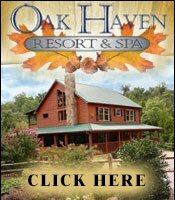 And, if you love winter sports, be sure to visit Ober Gatlinburg for skiing, snowboarding, tubing, and more. This world-famous ski resort is even open on Christmas Eve and Christmas Day, although the hours are shorter than usual. Plus, if you&apos;re here for New Year&apos;s, don&apos;t miss the annual New Year&apos;s Eve Ball Drop and Fireworks Show. Join thousands of other visitors around the intersection of Parkway and Historic Nature Trail, at the base of the 400-foot Gatlinburg Space Needle. Right at the stroke of midnight, a series of magnificent fireworks will burst in the crisp mountain air. Meanwhile, the Space Needle&apos;s LED lights will shimmer rhythmically in time to specially choreographed music. What a marvelous way to welcome another year! Here&apos;s your chance to make holiday memories that will truly last a lifetime. So, gather the fam and head to the mountains now!